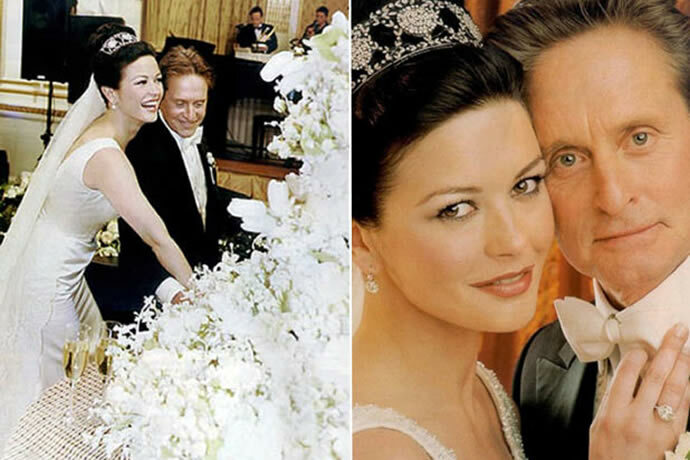 While everybody loves a wedding, you can’t deny that some weddings are definitely more exciting than others; and no wedding grabs eyeballs quite like a celebrity wedding! From flying all their friends out to exotic destinations to wild bachelor parties and carat heavy engagement rings, when celebs get hitched, they certainly do it in style. 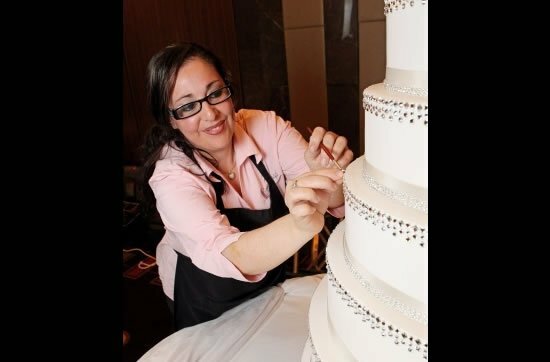 But the latest celebrity wedding fixation will have your eyes popping and your mouth watering because the only thing more elaborate than a celebrity brides wedding dress is her wedding cake! From unfathomable themes to impossible heights, from imported ingredients to exquisite decoration, these happy couples want nothing but the best! The Daily Meal compiled their list of most expensive celebrity wedding cakes and we’ve rounded off our top picks. Some of these couples aren’t even together anymore, but their cakes will be in our memories forever! Though this ill-fated pair ended their marriage in a very bitter divorce, it seems like they did have a love for chocolate in common. 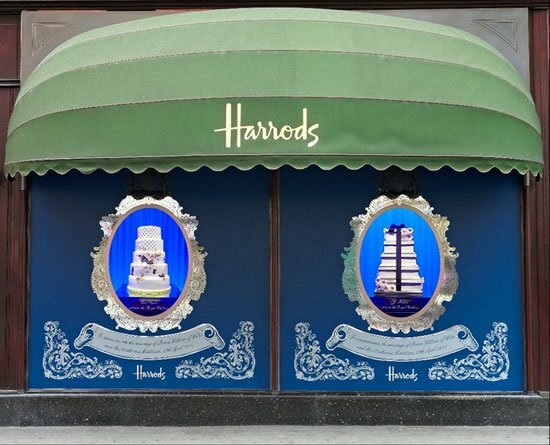 Their $4,500 4 tier cake was a rich, chocolate extravaganza reportedly created by the skilled team at Brighton’s well known Choccywoccydoodah. 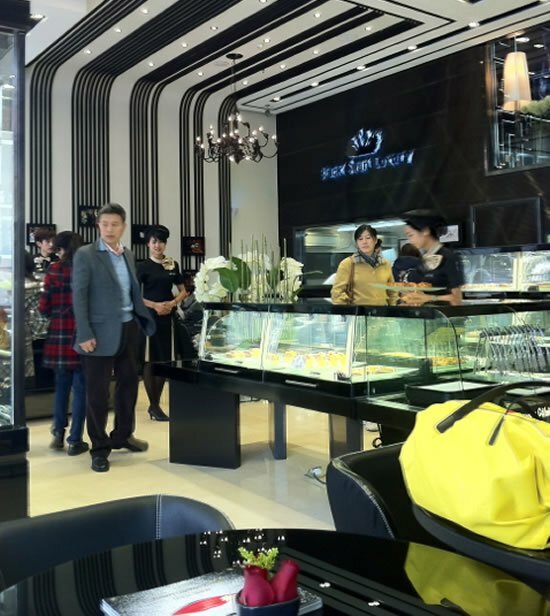 Maybe Kim has learned to reign in the expenses, but compared to the cake from her first wedding, this Vanilla and Berry cake was practically economical at just around $6,685. The 7 foot, 7 tier cake was all white cake with fruit layers and white frosting. While no official pictures are available, we did get a sneak peek in an Instagram picture posted by wedding guest Franca Sozzani. 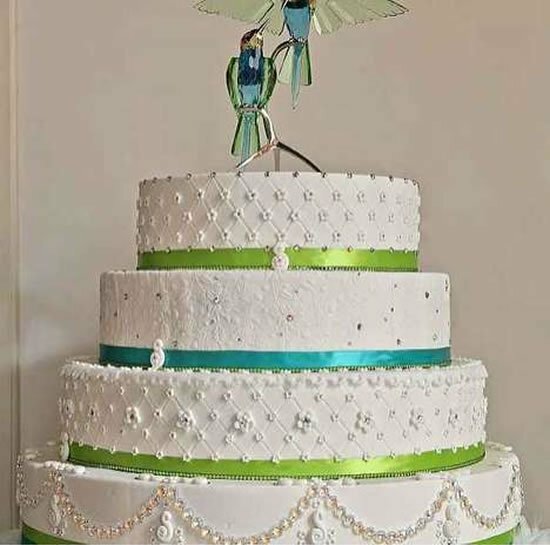 For this May-December pair, Sylvia Weinstock created a 10 tier vanilla and buttercream confection that probably dwarfed the bridal couple themselves with its 6 foot height. The white cake was covered in sprays of white blooms and rumor has it the top two tiers had to be taken off just so that the cake could be brought into the hall. Not bad for $7,000 we say! Chelsea Clinton and Marc Mezvinsky commemorated their 2010 wedding with a decadent dessert that made going gluten-free look really fun. Under the stark white vanilla fondant was a core of gluten-free vanilla sponge layered with chocolate mousse. 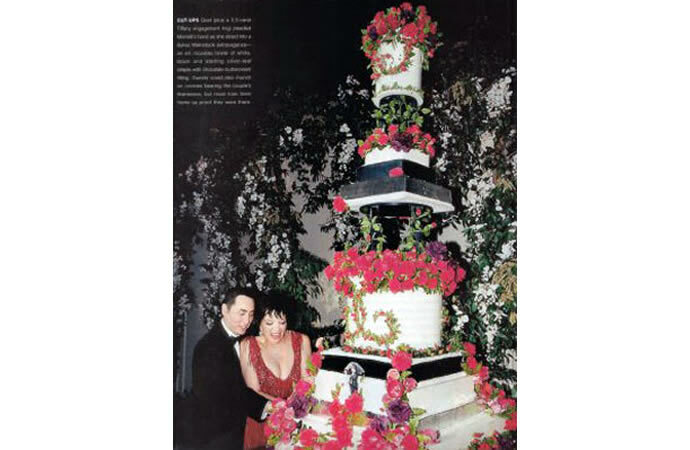 The cake was topped off with 1,000 sugar roses, calla lilies, and orchids. While we loved the classic design of this cake, we couldn’t get on board with its all white exterior. The sterile white flowers are too eerie and a far from Will and Kate’s subtle ivory blooms. Did you really think that we could go through this list without mentioning a Kardashian? Middle sister Kim married basketball player Kris Humphries in the most-talked-about wedding of 2011 and the televised spectacle needed an equally scene-stealing cake. Enter Patrick Hansen who crafted this 8 foot tall, 600 pound chocolate chip marble cake with alternating black and white tiers and buttercream frosting. The Daily Meal cleverly noted that the couple’s cake leftovers probably lasted longer than their 72 day marriage! 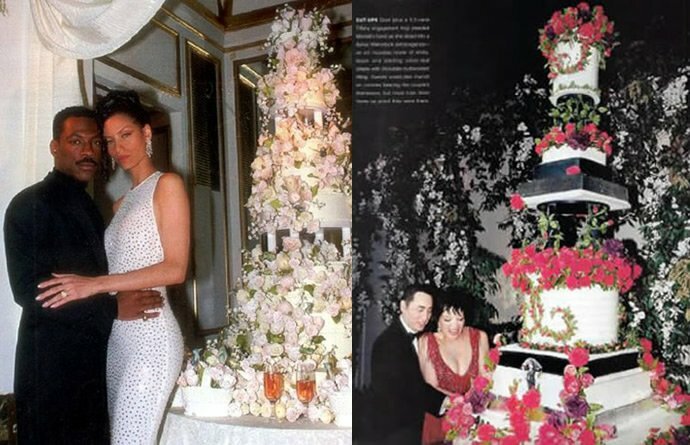 Eddie Murphy may be known as a funnyman on-screen but his wedding cake was no joke! 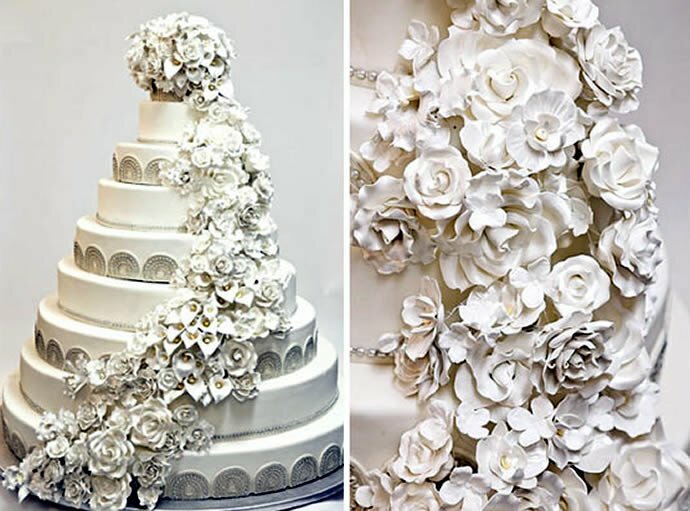 To celebrate his marriage to Nicole Mitchell in 1993, Eddie rolled out $25,000 for a multi-tiered white icing cake that was just overflowing with what appear to be sugar roses in pastel shades. While we do approve of a traditional flower cake, this one might have gone a bit overboard with the roses! Moderation is everything people! 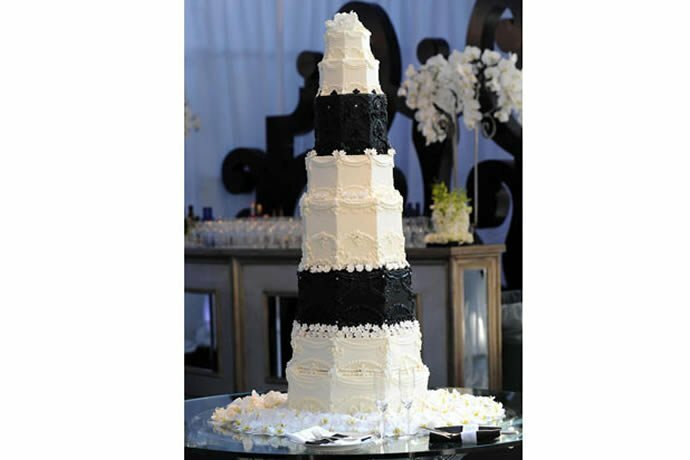 Towering at 12 feet high, this complicated confection brought the drama to Liza’s wedding with its stark white and black colors. Stripes of sterling silver leaf appeared throughout the cake while a multitude of stunning red and purple sugar roses spilled and curved their way across the cake. At this wedding, we’re pretty sure no centerpiece was needed! Perhaps Will and Kate drew inspiration from Prince Charles’ and Diana’s $40,000 masterpiece that also boasted a floral theme decorated with roses, lilies of the valley, and orchids, as well as the Prince’s family’s royal coat of arms. It is believed to have been in the making for a jaw dropping 14 weeks. But wait, that’s not all! 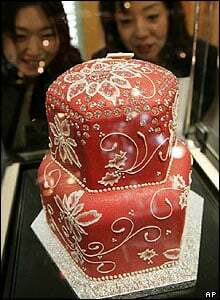 Reportedly, this 5 foot cake was only one of 27 cakes that had been created for the matrimonial day! The royals probably had their dentist on speed dial after this wedding! Additionally, a duplicate of the main cake had been created just in case of any mishaps. 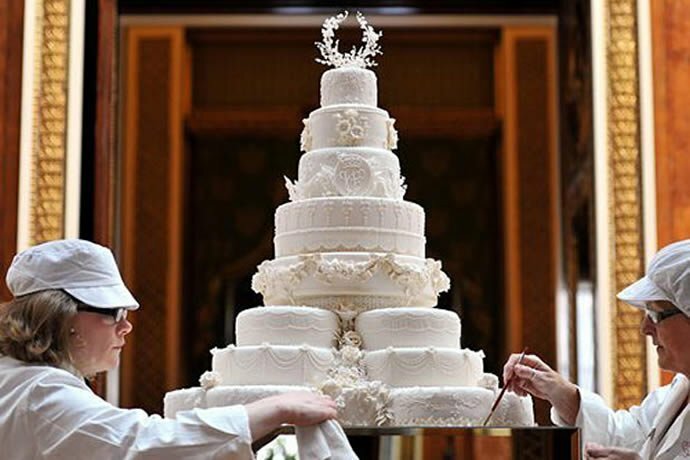 Considering that $40,000 in 1981 was the equivalent of $100,000 today, we think Charles and Di must have set some kind of record with their wedding cakes. 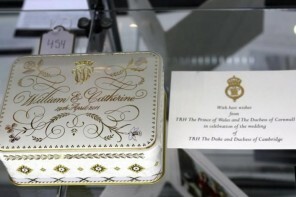 Designed by Fiona Cairns, this elaborate cake was every bit as royal as the couple it was made for. 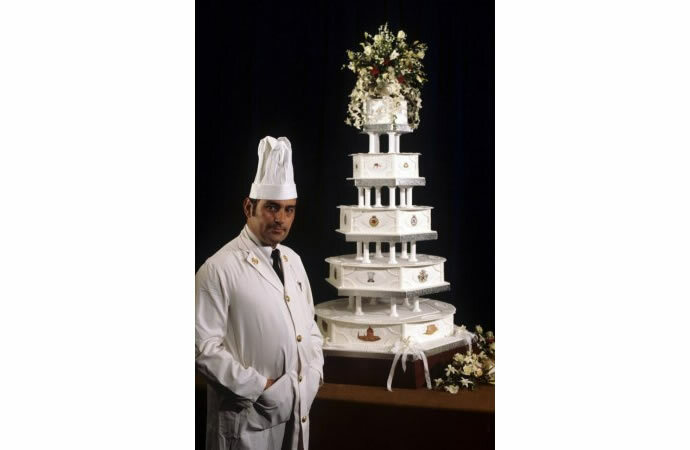 The eight tier fruitcake was cloaked in white icing with 900 sugar paste flowers, in fact we hear there were 17 different kinds of flowers on the cake including English rose, Scottish thistle, Welsh daffodil, and Irish shamrock and Lily of the valley, each with its own symbolism! 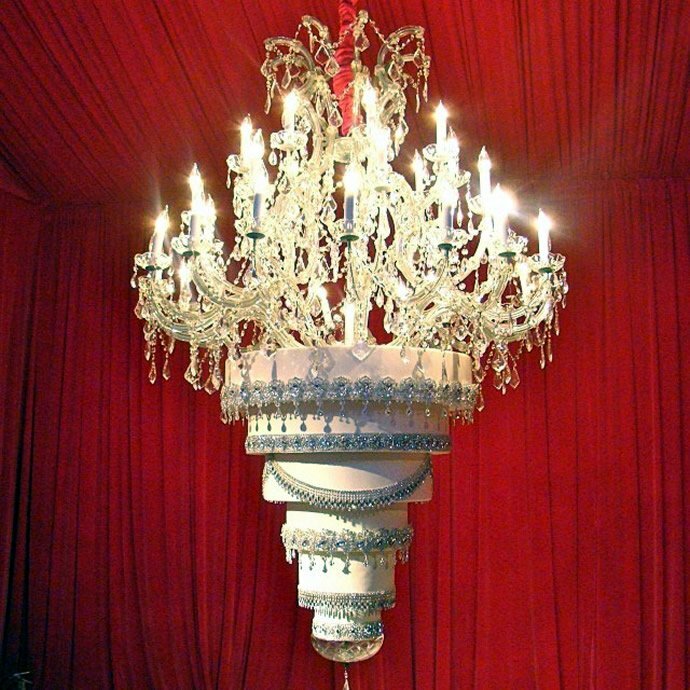 If this was what Marie Antoinette had in mind when she said “Let them eat cake,” we are so on board!